Favorite Supplements: Most definitely my UMP and Lean Out. Supplements before? – I actually have a lot of fellow co-workers interested in how/what I eat. I’ve turned a few of them on to UMP! I have tried a lot of different protein powders on this journey, and none have the quality and taste that UMP does. Hands down. In your CD Player: I love a lot of different kinds of music, but during my workouts I need something upbeat! It’s usually current hits or rap music! Hobby or interest outside of bodybuilding: I love crafts and am very much a DIY ( do it yourself) type of person. I love looking a pinterest for new projects and crafts/gifts to make for people. I also love to bake. I have read a few different quotes through my training that help motivate and inspire me, and sometimes keep things in perspective. Looking back to my childhood, I was never very active when it came to sports and hobbies. I remember dabbling in dance, gymnastics, track, cheerleading, but nothing stuck. Having a mother that worked full-time, went to school, and had three children to raise (with one being a Juvenile Diabetic), there wasn’t always time for the healthiest at-home prepared meals. I used my drive and ambition towards other things like school, work, and career goals, never making time for my physical health. I remember being twenty-two years old and realizing that living healthy through exercise and diet is a lifestyle. I realized that if I didn’t start forming good habits to facilitate that lifestyle change it would become more and more difficult as time went on. It was around this time that I began seeing pictures from a high-school friend’s bikini competitions. I thought to myself “I would love to look like that”. When I was 23, I was asked by a good friend to train for a half-marathon. By this time I had began to take the right steps with incorporating exercise in my life through joining a gym, taking classes, etc., but had never taken on a commitment to train for something before. I had a lot of self-doubt and never thought I would be able to accomplish running 13.1 miles. Even though I was hesitant to commit, I decided to take the plunge and see what I was capable of. That summer I faithfully trained for my first race and completed it the following October. That’s all it took. I became hooked to this new “lifesyle”. The feeling that I would get from accomplishing goals that I had made for myself with training runs and races was pretty amazing. Within a year of my first half marathon, I completed several other long-distance races including my first full-marathon. I began paying more attention to what I was eating, and started to inspire family and friends around me with my healthier choices. It was around this time that I began seeing pictures from a high-school friend’s bikini competitions. I thought to myself “I would love to look like that”. The pictures sparked my interest to do further investigating of the sport and learn what it was all about. I knew I was far from where I needed to be to step on stage, but I also knew that I wanted to compete so bad that I couldn’t let that stop me. Thankfully I worked up the courage to contact Fitness Pro and Contest Prep coach, Julie Lohre (www.JulieLohre.com) last October, which ended up being the first step to an amazing journey. Although I began training with Julie Lohre in October of 2013, I wanted to take it further and decided to officially join the Julie’s Fitbody Contest Prep Team in January 2014. I knew that I wanted to compete in bikini but wasn’t sure what Julie’s thoughts would be. After running through a few of the poses for both figure and bikini, we decided that bikini would be the best fit for me! Julie had my new nutrition and training programs to me in no time, and I was ready to roll. Fit Tabs- 2 in the am and 2 in the pm, to help cover all of my bases with essential vitamins, minerals, and micronutrients. Lean Out- 2 with 5 meals per day- Other than UMP, Lean Out is one of my favorite supplements. It assists my body with using stored fat and turning it into energy. This aides me in losing the body fat I need to while maintain the lean muscle I’ve worked so hard to build! Glutamine Select- 1 scoop with training mixed with 10-12 oz. of water. I get the BCAA’s that I need to help preserve my muscle, and love how much it helps reduce post-workout soreness while aiding in recovery. UMP: I usually take 1-2 scoops daily. I’ll take more later about the many ways that I am able to incorporate UMP into my meals whether I am prepping for a show or not! Preparing all of my meals ahead of time is key when in contest prep, but I’ve also found that it really helps me stay off track and help my with my goals during off-season as well. Preparing meals and eating health has become more of a lifestyle change instead of just a “diet” for a contest. I usually designate a day each week to prepare all of my meat, etc. Being an ER nurse, my schedule is always hectic and I’m often very busy while at work. Having all of my meals prepared and packed ahead of time allows me to stay on track throughout the day. I absolutely love having UMP as part of my meal plan because of how versatile it is! 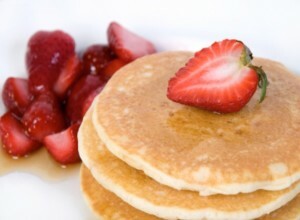 Vanilla UMP is great for protein pancakes and any kind of baking. I’ve used it to make muffins, protein fudge, brownies, Julie’s yummy chocolate chip cookies… the list goes on! I also have the other three flavors, which are: Cookies & Cream, Chocolate, and Rocky Road. 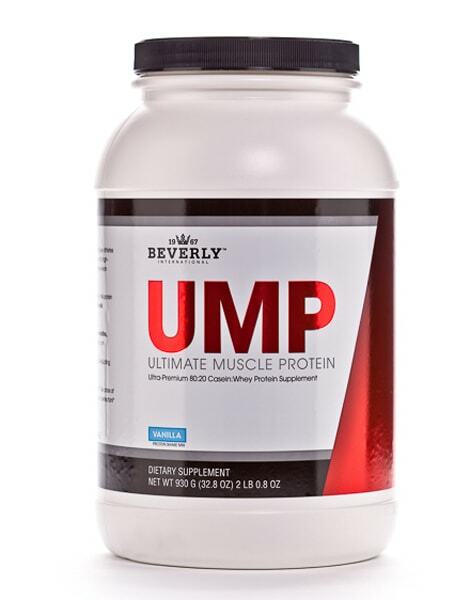 Whether is grabbing a quick shake, or mixing them into a pudding, UMP always helps to cure my sweet tooth! Julie changes my training every four weeks or so depending on how I am progressing with my goals. 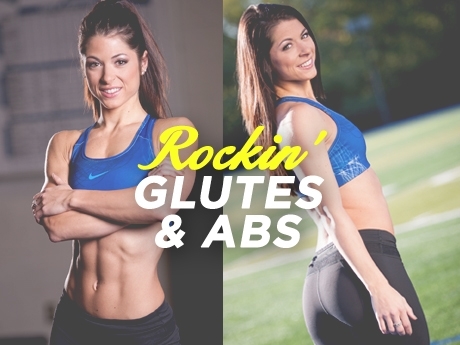 My two favorite body parts to train are glutes and delts and I have worked incredibly hard to build roundness in my glutes! I’ve most recently been incorporating cardio in-between supersets during my workouts, which I really like. I still love to run, so I chose sprint intervals if I am trying to get in a higher intensity cardio workout. I also run for longer periods for more moderate intensity. I learned in my very first show how important presentation is while on stage. When I was first learning to pose, I was not very confident in myself and could feel myself being uptight. I continually watched videos of other competitors posing to help me get ideas for how to display that confidence and present the physique that I had worked so hard for! At our FITBODY Team meetings, we have posing sessions each time and would concentrate specifically on posing, stage walks and presentation. Now when I go on stage, I have the biggest smile on my face. I cannot wait to show the judges all of my hard work while keeping my head high. I didn’t realize how important presentation was, until my first show. After working hard for weeks and weeks, this is your time to really show what you have accomplished. From your tan and suit- to hair and make-up, it’s not something to take lightly. I began looking at suits a few months before my first show, and practiced hair and make-up several times before the big day. I got to try them out at the Fitbody Team dress rehearsal a few weeks before the show. The day of the show you don’t want to be stressed trying to figure out how your hair will look best, etc. You want to have all of that lined up so that on show day, you can kick back and relax with everything ready to go!